A stroke happens when there is a loss of blood flow in dogs’ brains that leads to abnormal neurological symptoms, seizures, or coma. There are two types of strokes that can occur in dogs’ brains. Ischemic strokes happen when the blood supply to the brain is reduced or obstructed, which results in a lack of oxygen and nutrients for the brain cells. Hemorrhagic strokes in dogs happen when blood vessels in the brain burst, causing bleeding in the brain. Symptoms of a stroke in dogs can vary a lot depending on the type of stroke, the location, and the size of the area that is affected. These symptoms may mimic those of other medical conditions in dogs, so it is important to consult a veterinarian for a proper diagnosis and treatment if you see potential signs of a stroke. Here is what you should know about the symptoms, causes, and treatments for strokes in dogs. The symptoms of stroke in dogs can vary and can easily be confused with the symptoms of other medical conditions, such as vertigo, ear infections, brain tumors, or seizure disorders. If you see the signs of a potential stroke in your dog, get to your veterinarian so they can rule out other causes with MRIs and other tests and begin treatment. Here are a few of the symptoms you might see in dogs suffering from a stroke. 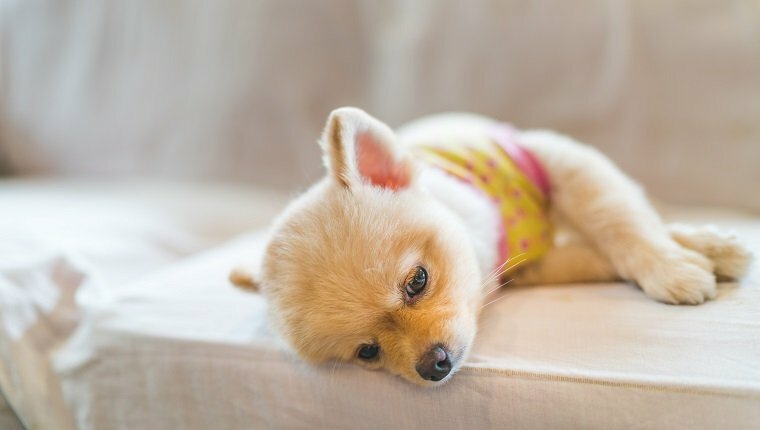 There are several possible causes of strokes in dogs, as many conditions may result in a clot or obstruction of blood flow to the brain, and several other conditions could cause a blood vessel to burst. Here are several underlying conditions that may result in strokes in dogs. Much of the time, the underlying cause of a stroke in a dog is never determined. 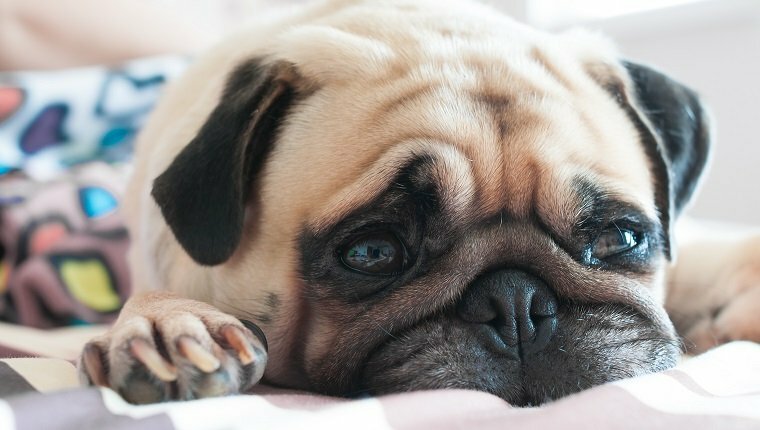 Though all breeds may suffer a stroke, some breeds are more predisposed to underlying causes of strokes. These breeds include King Charles Cavalier Spaniels and Greyhounds. 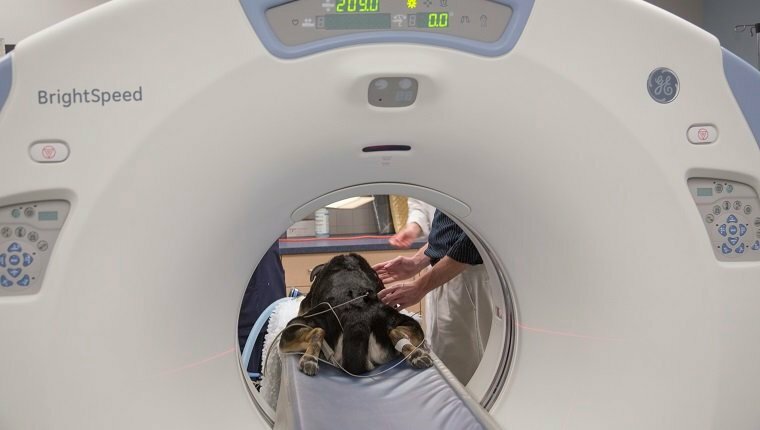 Treatment for dogs that have strokes focuses on restoring oxygen flow to the brain, reducing swelling, and treating possible underlying causes. Several medications may be used to reduce symptoms. Sedatives can help reduce disorientation, antiemitics may help with nausea, anti-inflammatories like corticosteroids can reduce swelling and inflammation, and anticonvulsants can control seizures. Some dietary restrictions may be prescribed. 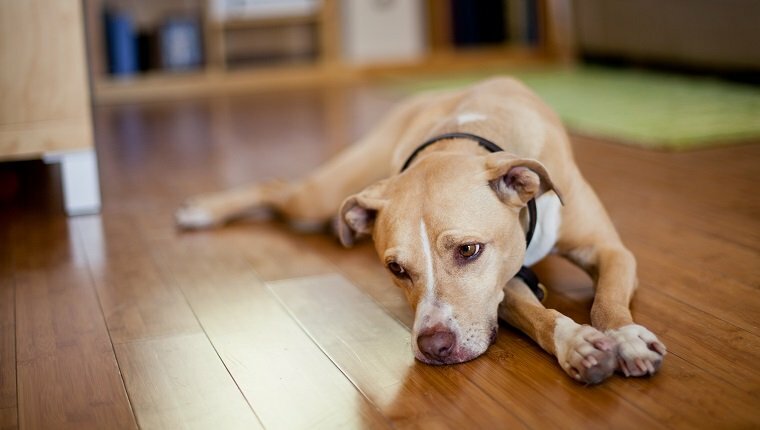 Usually dogs return to normal after a few weeks, and it is rare for seizures to recur unless there is an underlying condition that goes untreated. Treatments for the causes of strokes in dogs vary and will likely be ongoing. Blood thinners can be prescribed to reduce blood clots, and high blood pressure medication might be given to dogs with hypertension. Antibiotics may be prescribed if a bacterial infection can’t be ruled out. Other drugs, surgery, or therapy may be used to treat underlying conditions that cause a stroke, as well.